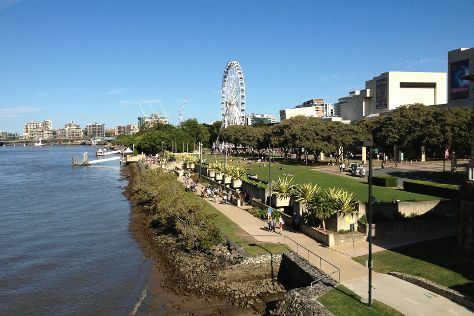 On the 10th (Sun), don't miss a visit to Wheel of Brisbane, then explore the activities along The Brisbane River, and then stroll around South Bank Parklands. On the 11th (Mon), you'll have a packed day of sightseeing: identify plant and animal life at Lone Pine Koala Sanctuary, get great views at Mount Coot-tha Lookout, and then look for gifts at Noosa Chocolate Factory. To find photos, more things to do, ratings, and more tourist information, go to the Brisbane holiday builder site . If you are flying in from India, the closest major airports are Brisbane International Airport and Gold Coast Airport. In February, daytime highs in Brisbane are 33°C, while nighttime lows are 24°C. Wrap up your sightseeing on the 11th (Mon) early enough to travel back home.